At the beginning we were sure we knew all about Jesus Christ, it was a delight to sell all and to fling ourselves out in a hardihood of love; but now we are not quite so sure. 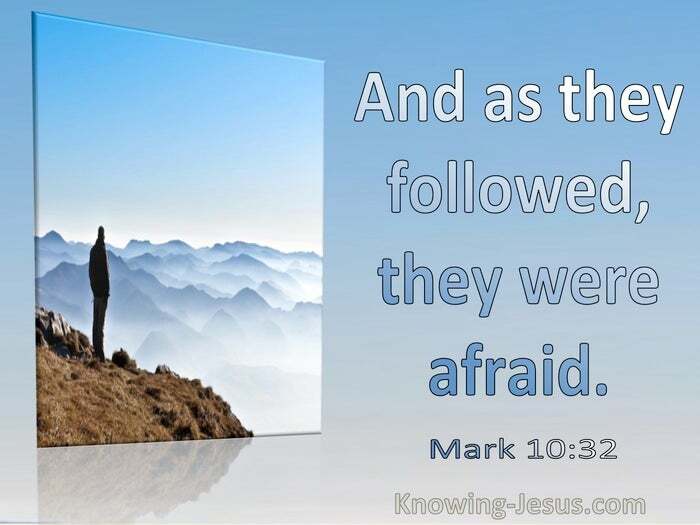 Jesus is on in front and He looks strange: We read, "Jesus went before them and they were amazed." Jesus Christ had to fathom every sin and every sorrow man could experience, and this is what makes Him seem strange. When we see Him in this aspect we do not know Him, we do not recognize one feature of His life, and we do not know how to begin to follow Him. He is on in front, a Leader Who is very strange, and we have no comradeship with Him. 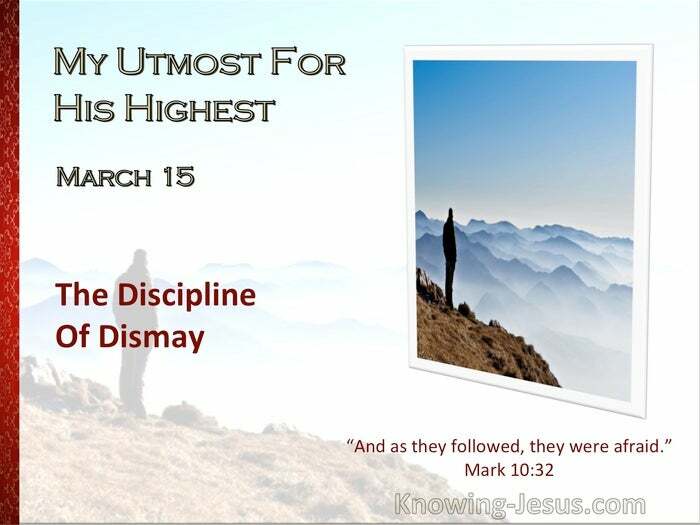 The discipline of dismay is essential in the life of discipleship. The danger is to get back to a little fire of our own and kindle enthusiasm at it (cf. Isaiah 1:10-11). When the darkness of dismay comes, endure until it is over, because out of it will come that following of Jesus which is unspeakable joy.